Very helpful and very thorough. Excellent report all around. Thank you. Kevin was very throurough with his inspection and made sure to answer any questions I had. Would definitely recommend him to others!!! A pleasure doing business with Kevin. 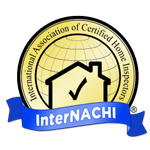 Very knowledgeable and personable - would highly recommend him to anyone in the market for home inspection. Kevin is very knowledgeable and explained any concerns in detail. He was open and honest in a way that made me feel comfortable in making a decision to purchase my first home. Kevin is professional and does a great job explaining issues to buyers without scaring them. Kevin is so wonderful with my clients. He takes the time to make sure they understand. He's friendly and relatable. He's always my first choice. Kevin was by far the best inspector we have ever experienced! Very courteous and knowledgeable. I would recommend him to anyone. Thanks for the great experience! Kevin is the best there is!!! Kevin was very thorough and provided detailed information on the inspection. He demonstrates genuine concern for clients, and is very helpful in negotiating for any repairs. I cannot say enough good about Kevin's thorough reports. My clients have been extremely satisfied each and every inspection. He calms them when they need calmed and alerts them when they need alerted. It's a great balance. Always honest! The only reason I didn't give Kevin a "10" is because I believe we all need something more to strive for! He is incredible with my clients and scheduling. I appreciate his work ethic and time he takes to explain everything to my clients. He comes with a high recommendation from me! Kevin has all of the personality traits you would want from a home inspector: honesty, integrity, and willingness to craw into a tight space. I highly recommend Kevin! Kevin is very personable maintaining a calming presence yet conveying a since of urgency as needed. As we did the walk through of my soon to be home Kevin pointed out issues of concern and as repair dollar signs danced in my head he provided assurance that overall the house is a good house & that the necessary repairs won't put me in the poor house. On the other hand when my reaction to a window being unbalanced was, "That's okay I don't really want my son attempting to climb out that window anyway," with my mind not getting past visions of my near teenager attempting to break curfew, Kevin politely yet firmly expanded my thought process by saying, "You do in case of a fire." Suddenly that window became one of my top repair requests! When you're buying a home for the first (and hopefully last time) you vacillate between the extremes of nervousness & joy so it's nice to work with someone who will guide you to the much calmer state known as reality.